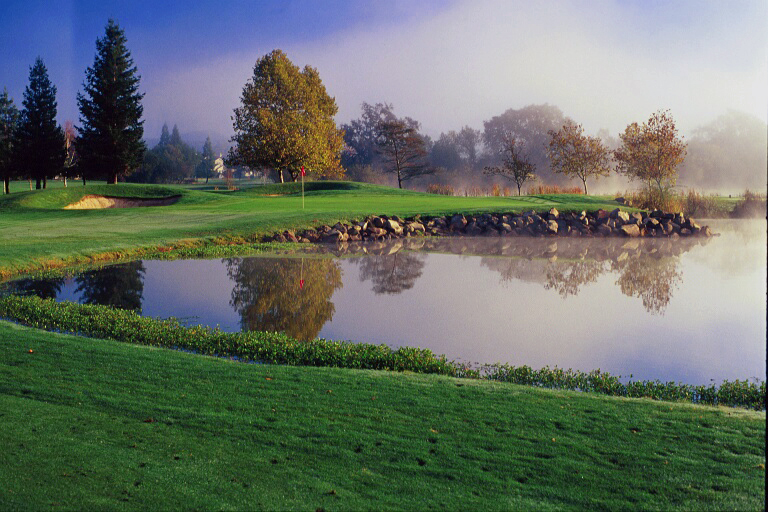 Windsor’s par 72 championship course has played host to several PGA Nike Tour events, giving the course a unique cachet that lets golfers follow in the footsteps of the pros. A challenging layout traverses a year-round creek, lakes and oak trees, all open to a sprawling sky that has witnessed golfers shake their fists in both jubilation and dejection at this never routine 6,650-yard course. Windsor’s four tee options provide an appropriate challenge for any skill level. Come and enjoy Wine Country golf at its best! The Golf Shop at Windsor Golf Club features the latest in golf equipment and apparel. Our well equipped Pro Shop offers a wide variety of golfing items. For starters, we offer an excellent selection of apparel from many of the well known companies you have come to know and trust for quality products. We also carry golf shoes, socks, hats, sunglasses and other items essential to the complete golfer. No detail is missed. We have the best prices around and will beat anyone’s price, including, Golf Mart, Golf Smith and any other discount stores, on all custom ordered golf clubs. Any questions are quickly answered with the best professional advice around. As you begin or end your golfing experience here at Windsor Golf Club, feel free to stop in and take a look at our great selection. The Pro Shop is open sunrise to sunset every day other than Christmas. The challenge of the Windsor Golf Club will test all clubs in your bag, and for that reason, we offer practice facilities that will help perfect every shot necessary to play a triumphant game of golf. Our full grass driving range allows you to warm up your swing while our separate chipping area and putting green offer ample space to work on your short game. Open seven days a week, Windsor Golf Club’s well manicured practice facilities are available to all wishing to improve their game. Our staff of PGA professionals is available for a wide range of instruction covering all aspects of the game. Clinics and group lessons are also available. Please call (707) 838-7888 for reservations.